PreCheck recently surveyed healthcare organizations to learn about how they handle background checks, screenings, and other employment issues and some of these findings are surprising. Get access to the survey results and insights in this complimentary white paper. Find out which exclusion lists healthcare employers are checkign and how frequently they should be screened. Learn how healthcare organizations implement personnel drug testing programs and the latest recommendations from industry regulators. 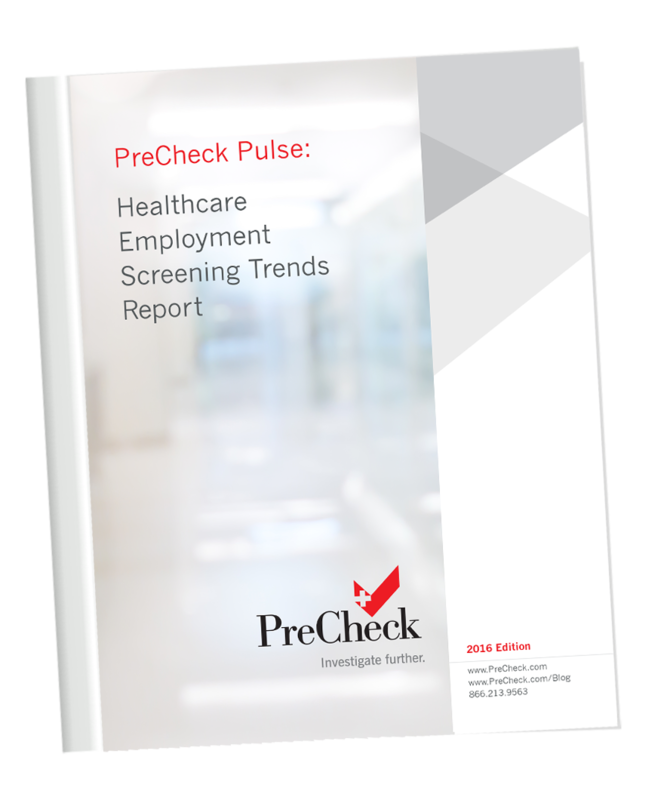 Get the latest background check statistics for healthcare employers and key considerations for revising your screening policy. Review other key screening components including healthcare license management and physician trends.